Nothing sounds better on a mid-summer night, than the frantic click of a bait-feeder along an empty stretch of beach. I’d been hoping to put the Penn Spinfisher VI LiveLiner 8500 to work on canyon yellowfin, but a chunk bite had been slow to develop, so I lashed the reel to my 10-foot, 5- to 12-ounce surf rod, and took it to the beach looking for a big fight there. After an hour of feeding the crabs with my fresh bunker, lightning in the distance looked as if it would cut the trip short, but it wasn’t the sound of thunder that made us jump. The bait-feeder reported the bite we were looking for as it paid line into the surf where something big and fast was making off with the bait. I grabbed the rod out of the holder, made a turn of the handle, engaging the fighting drag, and the rod loaded up as the circle hook found a home in the corner of the shark’s mouth. The drag, though nearly locked down, paid out line just as smoothly as the baitfeeder, and at almost the same rate. 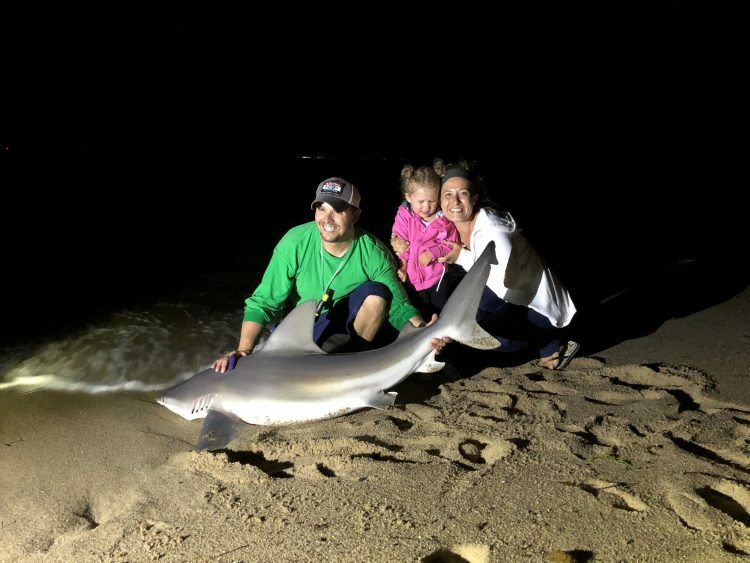 A few minutes later, the shark was in the wash, and after a quick unhooking and photo, was on its way back into the pitch black surf. The recently re-vamped Penn Spinfisher Live-Liner features improved sealing, allowing it to withstand the occasional splash in the surf or spray on the boat. I’d spooled it with 65-pound-test braided line, or which it holds up to 555 yards, although I added a couple hundred yards of backing. 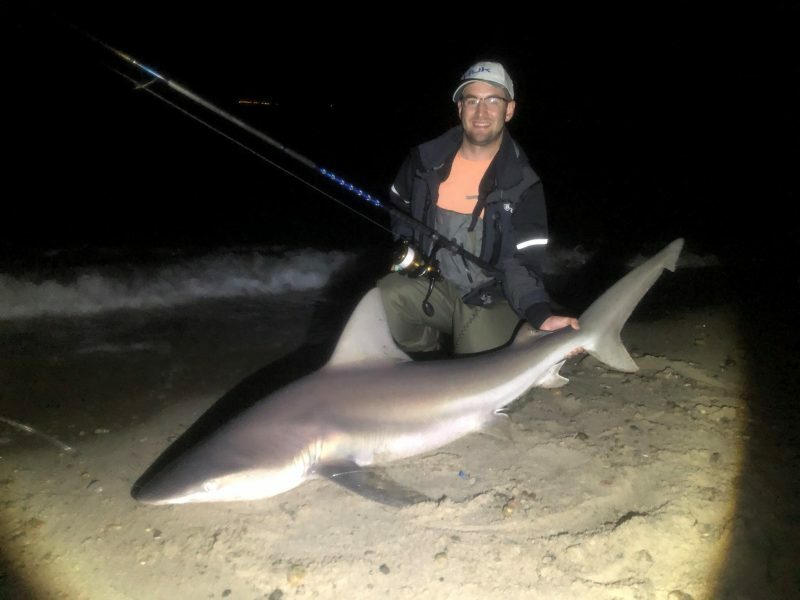 The drag was perfectly smooth for several big surf sharks, and the reel itself had good cranking power and seemed no worse for wear after an inadvertent drop in the sand and a month of bouncing around the back of my truck. The other reel I used for surf sharks this year was my beloved coffee grinder, a 20-year-old Penn 706z, and it was a stark contrast to the faster retrieve rate, powerful drag, and smoother performance of the Spinfisher VI. I didn’t stop fishing my 706, but I did secretly hope that the bites would come on the newer Spinfisher. I never had the chance to test it on tuna, but give the experience with 50- to 80-pound browns, medium-class yellowfin are well within its range. The 8500 LiveLiner would be overkill for stripers. The 4500 would be a good fit for throwing worms and clams for stripers, while the 6500 would make a good bunker and mackerel chunking reel, while serving double duty for sharks. Penn absolutely ruined a good thing with the new live liner redesign. Instead of being able to dial in on an exact drag setting, you have to choose between four presets. Awful. The Penn rep at the NE Saltwater Fishing Show was explaining that you can adjust those presets if you unscrew the cap, the cap where the old awesome drag selector used to be, you can mess around in there with a tool. Or something like that- I couldn’t tell what he was saying because I was laughing at him too loudly.